Business InsiderBusiness Insider Executive Editor Brett LoGiurato and Gary Johnson. 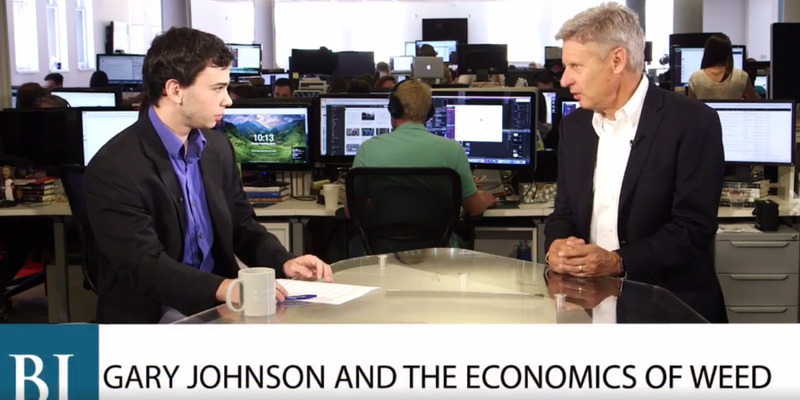 Libertarian presidential nominee Gary Johnson explained during an interview with Business Insider this week why he won’t be smoking marijuana if elected to the White House. Johnson, the former CEO of Cannabis Sativa Inc., which sells medical cannabis products, said he stopped smoking marijuana once he began campaigning. If elected, he said he’d put the habit on hold because he believes that he’d have to “be the best that you can be” when serving as commander in chief. The former two-term governor of New Mexico, who made a bid for the presidency as the Libertarian candidate in 2012, is polling at 8.5% against Donald Trump and Hillary Clinton, the presumptive Republican and Democratic nominees, in the RealClearPolitics average of several polls. In a recent Fox News poll, Johnson garnered as high as 12% of the vote in a three-way race.